"Electric propulsion technology is very novel and extremely delicate," explains Elsa Montagnon, Spacecraft Operations Manager for BepiColombo. 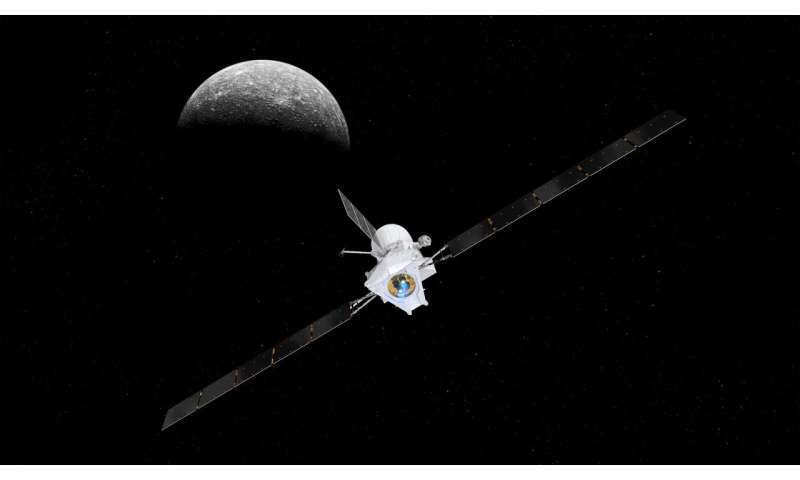 "This means BepiColombo's four thrusters had to be thoroughly checked following the launch, by slowly turning each on, one by one, and closely monitoring their functioning and effect on the spacecraft." This was the only chance to check in detail the functioning of this fundamental part of the spacecraft, as when routine firing begins in mid-December, the position of the spacecraft will mean its antennas will not be pointing at Earth, making it less visible to operators at mission control. 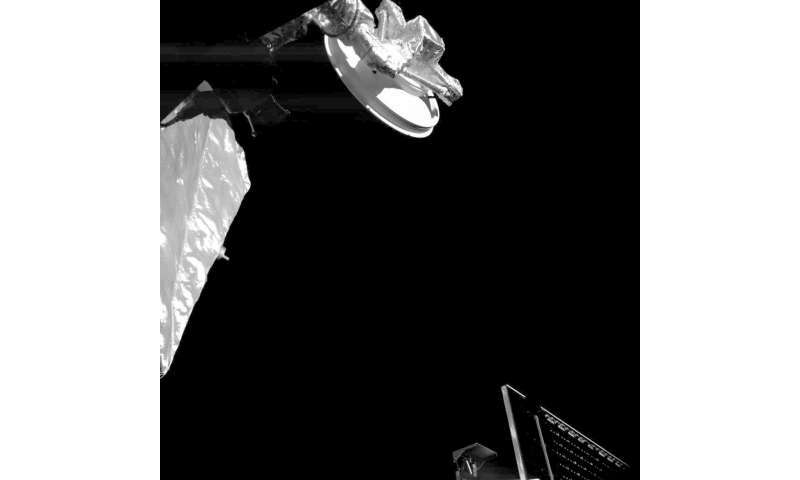 On 20 November at 11:33 UTC (12:33 CET), the first of BepiColombo's thrusters entered Thrust Mode with a force of 75 mN (millinewtons). With this BepiColombo was firing in space for the very first time. Thrust mode was maintained for five hours before BepiColombo transitioned back to Normal Mode. 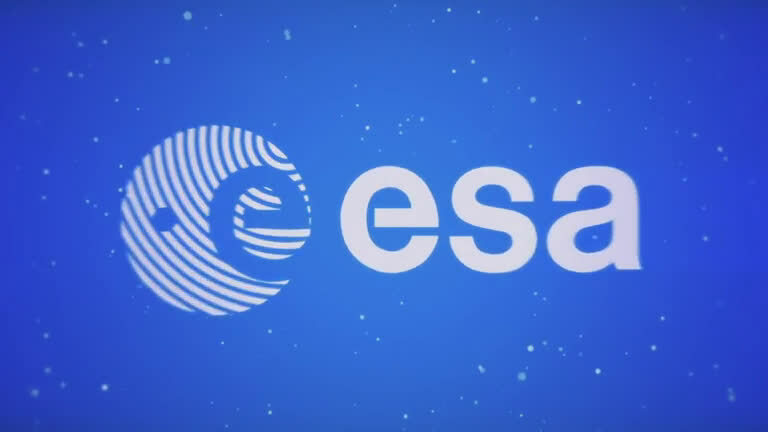 The entire time, ESA's Malargüe antenna in Argentina was in communication with the now glowing blue spacecraft – the colour of the plasma generated by the thruster as it burned through the xenon propellant. These steps were then repeated for each of the other three thrusters over the next days, having only a tiny effect on BepiColombo's overall trajectory. "To see the thrusters working for the first time in space was an exciting moment and a big relief. BepiColombo's seven year trip to Mercury will include 22 ion thrust arcs – and we absolutely need healthy and well performing thrusters for this long trip," explains Paolo Ferri, ESA's Head of Operations. 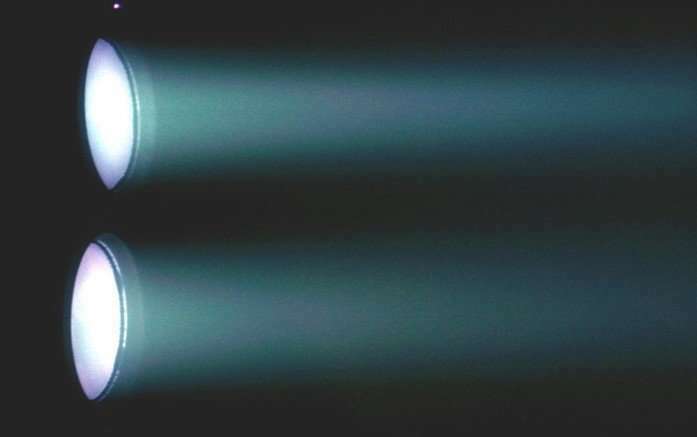 "Each thruster burn arc will last for extended periods of up to two months, providing the same acceleration from less fuel compared to traditional, high-energy chemical burns that last for minutes or hours." The first routine electric propulsion thrust arc will begin in mid-December, steering BepiColombo on its interplanetary trajectory and optimising its orbit ahead of its swing-by of Earth in April 2020. By late 2025 the transfer module's work will be done: it will separate, allowing the two science orbiters to be captured by Mercury's gravity, studying the planet and its environment, along with its interaction with the solar wind, from complementary orbits. "We put our trust in the thrusters and they have not let us down. We are now on our way to Mercury with electro-mobility," concludes Günther Hasinger, ESA Director of Science. "This brings us an important step closer to unlocking the secrets of the mysterious innermost planet and ultimately, the formation of our solar system."